Terrifying stage fright. Crippling anxiety. Asperger’s Syndrome. The demands and pressures of fame. For legendary singer/keyboardist Gary Numan, these were the daily realities that he battled against while being one of the most famous men on the planet. 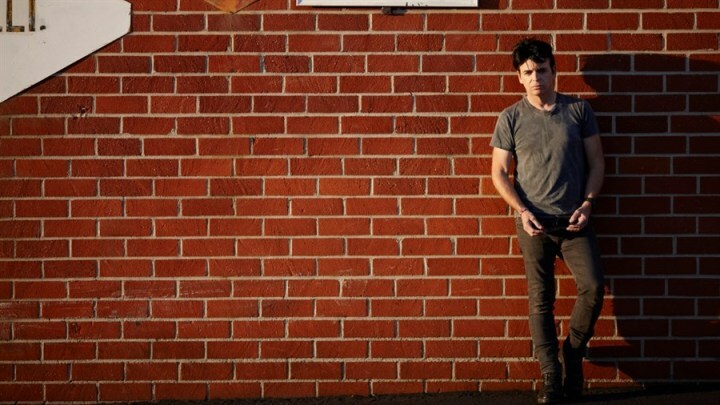 With intimacy and honesty, Steve Read and Rob Alexander’s film Gary Numan: Android in La La Land tells the story of this brilliant man’s career while documenting his quest to rediscover his love for music after years of struggle. 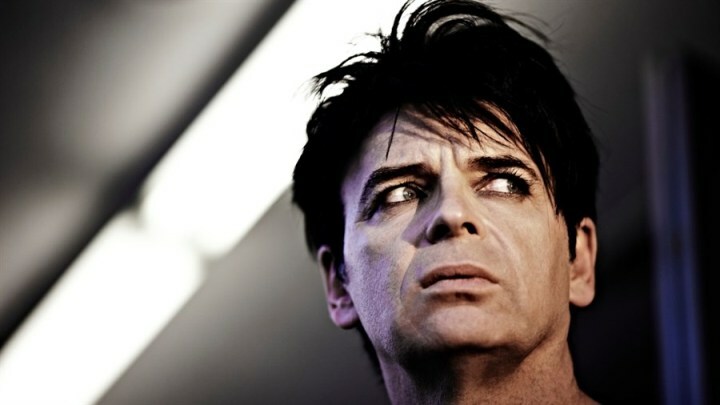 Gary Numan has had an influential career that has spanned more than 35 years. The unique sound of his debut solo album, The Pleasure Principle in 1979 launched him into instant stardom. 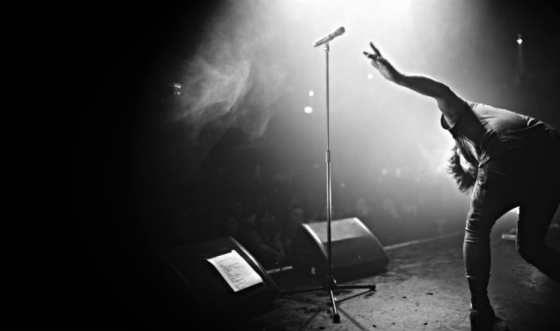 Over the next decade, he was one of the most important voices in music, churning out new albums and touring regularly. However, as the hits started to fade and the money drained, he found himself losing his inspiration and passion for his art. With mounting pressure to replicate his success, Numan began a long, downward spiral of anxiety and depression, resulting in a six-year isolation to escape it all. His saving grace was his wife Gemma and their three children, who kept him grounded. After some time away, Numan slowly began to allow himself to find the passion again. He regained the desire and confidence to create music again, which gave him meaning and purpose. What resulted, despite his many mental health battles, was an album that was hailed as his best and most successful in 30 years. The film explores a wide range of complex emotions. Often with famous people we only ever see the public persona, we don’t get to know the real person behind it. Gary talks about his issues and challenges with an openness that allows us know him and understand what he went through. At times we wonder how he was even able to accomplish what he did through it all. As we go on this journey of healing and creative rediscovery with the musician, we want him to succeed. We see the payoff with the new album after everything he has been through and because we have seen what went into making it, we can’t help but feel joyful at this moment of redemption Numan needed to find. As someone who was only familiar with his early hit song “Cars” and who is of a later generation, I did not know a lot about this man and his career through the 1980s. The film presents a cohesive overall history but has a feeling of assumption to it at times that you must already know a lot about Gary Numan and his music. The purpose of the film is to primarily document his re-emergence but I felt the level of information about his early career, how he got started, and the details of his fame and world tours was lacking. Android allows you to get to know the man but I wanted more about the musician to supplement the narrative. As someone coming to this with little information, I felt more detail about his influence at his peak would have provided better context for what he was going through now. We all struggle with feelings of inadequacy and irrelevance at various points in our lives. We wonder if what we’re doing matters and we’re striving to find the passion we were meant for. For Gary, these feelings were exacerbated by the pressures to repeat past successes and his mental illnesses. However, he proves that when you are able to tune out all of the negativity, success will find you in whatever form it takes for your life. The most important piece of advice Numan has learned over the past 30 years is that you need to love what you’re doing and you need to be doing it for the right reasons. When you’re not, it will be soulless joy. When he stopped trying to force his creativity, it found him again with a renewed sense of satisfaction. These are messages of self-improvement we could all stand to remember that will allow us to achieve happiness.